Anti-lock braking system or ABS in common term is a safety feature which prevents the wheels from locking during panic braking situation. This new safety feature is proving a boon for the Indian riders keeping the poor Indian road and traffic condition in mind. Recently after Indian Transport Ministry has passed the new rule that all motorcycles above 125 cc manufactured in India after 1st April 2018 should have to be fitted with ABS. Until now we saw ABS was available only on premium motorcycles but now this extremely useful safety feature has also been forwarded to the budget motorcycles as well which sells in huge numbers here in India. 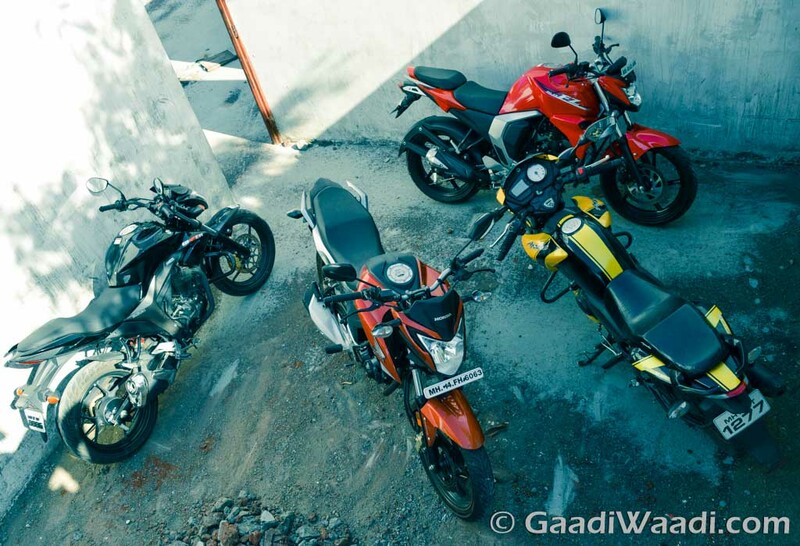 Below provided are the top 5 budget-friendly motorcycles which get ABS. Honda launched the Hornet 160 as a replacement for the Unicorn back in 2016. It quickly became a hit amongst the buyers mainly because of its styling and slightly more powerful engine. The Hornet uses the same 162 cc unit which used to power the Unicorn. Paired to a 5-speed transmission the 162 cc air cooled, 4 stroke mill produces about 14.9bhp of power and 14.5Nm torque and promises to return an equally impressive fuel efficiency figures of 58 km to a litre. 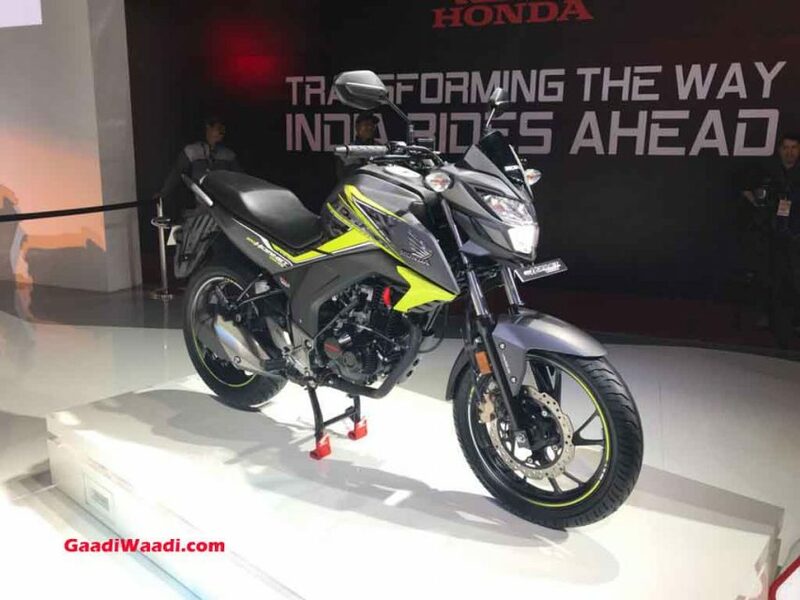 Honda has given the CB Hornet 160 few updates for the year 2018 which includes a new full LED headlamp and single-channel ABS setup making it the most affordable Honda motorcycle to be equipped with ABS. The Suzuki Gixxer SF is a fully faired motorcycle based on the Gixxer. Apart from the fairing the Gixxer SF 150 shares all its parts with the Gixxer including the frame, engine, suspension setup, and braking hardware. The motorcycle like its other 150 cc rivals gets a single channel ABS and also happens to be the most affordable fully faired motorcycle to be equipped with this safety feature. The motorcycle is available in India with both carbureted as well as fuel injected engine option. The Gixxr SF is powered by a 154 cc, single cylinder air-cooled engine. Paired to a 5-speed gearbox the engine produces about 14.6bhp of power and 14Nm of torque. 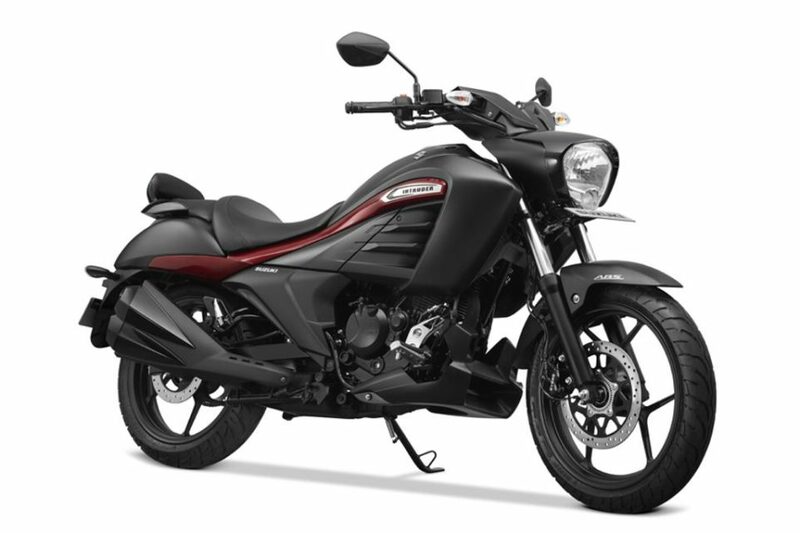 The Intruder 150 was launched in 2017 and is the most affordable Cruiser from Suzuki for India. Based on the Gixxer platform and inspired by the iconic bigger Cruiser Intruder the smaller Intruder 150 attracted quite a lot of attention. The motorcycle shares almost all its parts with the Gixxer including the Chassis, engine suspension and the braking hardware. Like the Gixxer SF, the Intruder 150 to gets a single channel ABS which definitely proves to be a plus point for this Cruiser. The Bajaj Pulsar 200 NS is definitely the most powerful motorcycle of the lot. The NS200 is powered by a liquid-cooled 199.5 cc unit capable of producing about 23.17 Bhp of peak power at 9500 rpm and 18.3 Nm of peak torque at 8000 rpm and is paired to a 6-speed gearbox. Surprisingly while we all expected it to be equipped with a dual-channel ABS setup like its rival the Apache RTR 200 4V but Bajaj has updated the model with a single channel ABS unit. This is the same setup which we also find in the pricier Pulsar RS 200 as well. 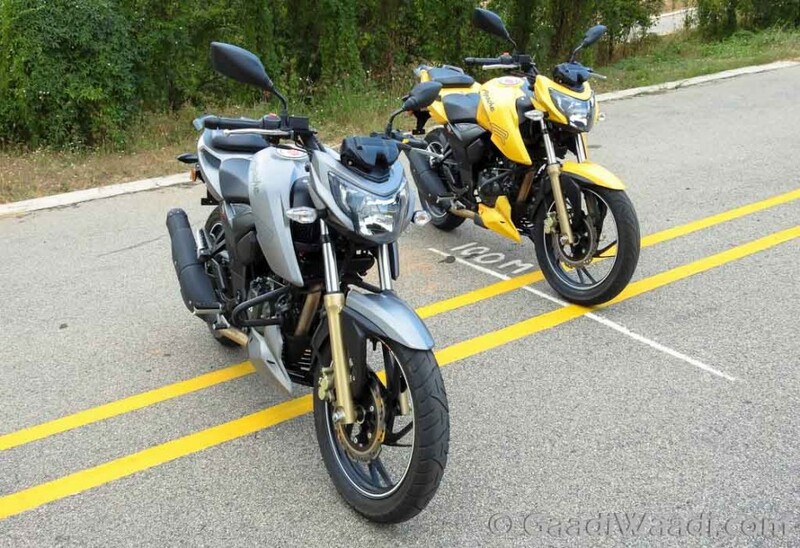 The Apache RTR 200 4V can be called a true rival of the Bajaj Pulsar NS200 although it generates less power than the former motorcycle but gets a dual channel ABS setup which also makes it the most affordable motorcycle in the 200 cc segments to get the advanced and safe braking setup. The Apache RTR 200 4V is powered by 197 cc, 4 strokes, liquid cooled engine capable of producing about 20.05 PS of peak power at 8500 rpm and 18.1Nm of torque at 7000rpm in the carbureted variant while the fuel injected unit generates 21 ps of peak power at 8. 500 rpm. Besides the dual channel, ABS the motorcycle is also equipped with a slipper clutch as well which is also a segment first feature. Believe it or not but TVS happens to be the first two-wheeler manufacturer in India who decided to add a dual channel ABS setup in a budget motorcycle like Apache even before Indian transport ministry took the initiative to make Indian roads safer for the rider.